EW introduced the meeting. EW said that no students or new sabbatical trustees were able to attend the meeting but would be contacted during the summer prior to September’s board meeting. JSm stated that there was an amendment required from a previous set of minutes from the January meeting regarding the appointment of auditors and the audited accounts. JSm would circulate these changes to JS for him to make. JS ran through the actions from the March and May meetings. All actions were either covered on the agenda or had been completed. The bank mandate update would be done once the new sabbaticals started in July. JS presented the final 4 year strategic plan with vision, mission, values and Aims and objectives. JS stated that we need to make one decision regarding either the use of the word of supported or empowered in the vision. It was agreed that empowered would be used. EW confirmed that the strategic plan was now signed off. JS stated that there would be production of a full document for the new strategy supported by AS. EW thanked the board and JS for all of their hard work in production of the new strategy. JS presented some 1 year KPI targets for the board to go alongside the new strategy. JD commented that the academic society target may be dropped to 75% rather than 80%. JSm asked what is based on. JS stated that it was based on past performance but also based upon stretching but achievable targets. The board agreed that there needs to be some clarification around the word engaged, but apart from that the board were happy with the 1 year aims for the strategy. AS was invited to this part of the meeting to give a presentation regarding the union’s new brand. The branding was very well received by the board and they were excited to see our new identity. The board thanked AS for all his hard work throughout this process. JS presented some KPI’s for the new people strategy based upon the principles agreed in the March meeting. JSm asked about the cost implications. JS stated that a large proportion of these are time based and therefore the cost is in staff time such as personal development days. JS stated that the big cost will be looking at a pay review and developing a framework. JS stated that the new committee should take ownership of this, which was agreed by the board. OW raised a concern about how easy it was for staff to gain professional qualifications and whether this was too high. CL raised that it will be important to include mental health within the section around health and wellbeing within the organisation. EW also raised that the aims around health and wellbeing felt more admin based. JS agreed that this area needs a bit more development. OW and MW stated that there can be targeted questions through staff surveys that will help measure this. The board agreed this was the right direction and will be monitored by the new HR sub committee. JS presented the income generation KPI’s that followed on from the income generation presentation from EW. JS stated that these targets relate to the budget, however some of the ones around grant making are longer term than 1 year. JSm asked us to clarify if they were budgets or targets. JS stated that there is a mixture. JD asked whether there was any comparable work around enterprise. JS stated that there is limited work to compare to, but that the university were starting to develop in this area. OW asked what the current comparison was regarding Freshers income. JS stated that Freshers has been underdeveloped in previous years and that there are opportunities for partnership work with local providers which will help drive up income through events. These include event partnerships with little costs associated. JS commented that the website has been underutilised and that the website is now used and should be marketed to advertisers. This should be an area that should be targeted through the income generation strategy. OW asked to clarify that the board is referring to profit and not income. JS stated that there is a GP analysis alongside the budget that matches these figures. The board agreed that aims 1 and 2 were the first aims and that the rest would take a few years to materialise. It was agreed that this would take some time for these KPI’s to be achieved fully. JS presented two terms of reference for sub committees. One for appointments committee which is for appointment of new trustees and one for HR and remuneration which looks at our HR as well as pay, particularly sabbatical and chief executive salary. The second committee would look at the aims of the people strategy. JS stated that there is a legal requirement under the new SORP to publish salaries over a certain amount, however we were not there at this moment. CL asked whether liberation groups should have a member of the appointments committee. EW said that we should probably look at makeup of the board when we review how we appoint student trustees in the future. OW asked whether there could be less members on the appointment committee. JS clarified that areas such as sabbatical wages can now be discussed in a committee rather than it just being missed out in future years. It was agreed that the committees should be created and that the membership will be decided at the next meeting. JS highlighted that we are currently using CounterCulture as an interim finance support to help us until any staffing posts are filled. They would be working on items such as ensuring VAT returns are completed and that we can ensure that our audit is completed. JS confirmed that the maximum they would be is 1 day per week and this would be scaled down once the new Head of Business Development is fully inducted into the organisation. JS confirmed that Simon Evans is the key contact from Counterculture for us. JSm asked if there had been any burden placed on the existing finance staff in the organisation. JS said that our Finance Assistant has been coping well and has been very supportive so far. JSm asked whether there had been any consideration given to any potential conflict of interest between Chief Executive/Head of Business Development and the management of finances for the union. JS stated that this would be looked at as part of CounterCulture’s brief and will be constantly monitored by the trustee board. JS presented a 1st draft of H + S Documents for the committee, as it has been a long standing item of the board. JS is still waiting for the university to hire a new Health and Safety Advisor for the university before working on these documents. The board were happy with these as a first draft, but would like them to be checked in more depth by the university before signing these off as union policy. JS stated that the university had met on Thursday 23rd June to discuss the block grant proposal. There had been no feedback as yet, but that the business case drafted by the board had been circulated to them. JS stated that the paper also discussed the transfer of the reserves from the university to the union. JS updated the board regarding a proposal from the Clubs and Societies Committee. The proposal ensures that the metric for funding is fair and equitable for all clubs and societies. Each sports club will receive £50 and each society will receive £25 and that we would pay clubs and societies 30% of all running costs. JS pointed out that the clubs and societies funding was waited previously towards Farnham and this balances out the budget fairly. JSm asked how we verified running costs. JS stated that receipts are provided as part of running a club and society and are checked to verify running costs. They are also required to fill out a budget form and three staff members are now monitoring all of these costs. There were some concerns raised about how much money is in the budget to cope with higher demand. This is something that will be monitored by JS and the board throughout next year. JS pointed out that it hasn’t been agreed who is on the group yet. JS pointed out that Marion Wilks has expressed interest from the university perspective and JS would act as Clerk and advisor to the group. The sabbatical representative would be chosen in the summer and OW would represent from the external trustees. It was recommended that Tomm Morton would be the most appropriate student trustee. JS stated to the board that since the May meeting, the government have released their proposals for changes to the Higher Education Landscape from the government. It was agreed that the board would look and monitor this. The officers would work with NUS on this throughout summer training. JS reported that the targets were all met from this year’s strategy bar one which is being carried over into next year. JS informed the board that the Finance Manager has now left the role following the discontinuation of the position. The new Head of Business Development will be appointed over the summer. JS also informed the board that Emma Wood is leaving the organisation and interviewing for her replacement the following week. JD asked if there was any concerns regarding Freshers. JS informed that himself and Katie (Head of Membership) are picking up Freshers preparation in the interim period. EW asked if there were any comments regarding the reports. JS noted that there was no Rochester one due to Scarlett leaving her role 1 month early. OW asked CL to clarify comment regarding approving budgets. CL stated that it would be helpful for more training for sabbaticals regarding reading budgets. JS asked if JSm would be able to provide the sabbaticals with some training to supplement summer training. JSm would look to work on this over the summer. CL stated that the comment in her report was more about training at the beginning of the role and that there was further support available. JS stated that he has been appointed as a school governor for Greenway Academy. JS presented the most recent set of management accounts to March. JS stated we were slightly behind as a result of the most recent changes, but that this would be worked on with CounterCulture. JS circulated the AFR minutes for March but no other committees were held. JSm asked if there had been any comments made regarding Brexit by the university. JS stated that there had been very little at this stage but that the VC had sent an email to say that there would be no immediate changes to staff or student status. EW passed her thanks onto all of the board members and to JS for all of their hard work throughout this year. JS stated that no dates had been agreed, but that September would be the most likely date. JSm raised the issue from 5.6 regarding the monitoring of the reserves. This should be that the Chief Executive should be monitoring the reserves not the exec committee. JS updated the action list and stated that the actions were either ongoing or completed. All ongoing actions would be completed by the June board. JS introduced and highlighted that the board felt a gap between March and June would be too long in order to complete the strategy effectively. JS introduced 3 papers that reflected what was discussed in March board and gave options for what the proposed vision should be, what the proposed mission should be and what the values should be. A lengthy discussion took place regarding all of these aspects of the strategy. It was agreed that this was a strong framework for the strategy and that JS and the Sabbatical Trustees will finalise any language and wording changes that might be required in order to bring a final draft for the strategy to the June board. JS updated the board regarding the university block grant submission. JS updated that OW and CL met the Vice Chancellor to show the plan and then presented the strategic plan to the university leadership team and to ask them for additional income. The figure that has been asked for is £69,000 to cover for three additional staffing positions. JS then met with the Vice Chancellor and Deputy Vice Chancellor who wanted to see a draft business case for this additional staff roles for the Employment and Finance Committee on the 23rd June. JS presented the progress so far on this business case. JS said that the university was very positive about us and would like to support us in some way. JS highlighted that they aren’t sure regarding the success of the Head of Business Development but they are aware that they do not fund this role and that this comes from us. JS also highlighted that they are in support of us bidding to hold the graduation merchandise contract from 2017. JS presented a business case draft and asked for comment from the board. The board discussed different options regarding funding and what could possibly happen re funding options. JS will provide an update for the next board meeting following on from Employment and Finance Committee. OW asked about progress relating to the reserves. JS stated that an action from this paper is to agree the transfer of the reserves over. JS provided an update regarding the proposal for the Head of Business Development. JS pointed out that all processes regarding potential redundancy situations had been undertaken and that it would close on Wednesday 18th May. JS pointed out that it had already been extended by one week and any outcomes would be communicated by Friday 20th May. JS stated that he would provide an update to the board at the next meeting. JS highlighted the steps that have been taken in order for the board to be aware of any issues. Due to time commitments, all reports were passed to the next meeting in June. EW thanked SH (Sabbatical Trustee) for all of her hard work throughout this year and wished her the best in her new role for GCUSU. EW introduced the meeting and stated that the agenda has been moved around in order to allow more time for the items for discussion at the beginning. JSm raised an issue regarding the action from 5.5 Audited Accounts. He stated that instead of the action being to explore a new tender, that it should read go to tender as this could be misleading. This will be amended for the minutes to ensure that these accurately reflect what was actioned. No other points of accuracy were raised and the minutes were accepted. JS stated that the process for exploring new auditors is covered on the agenda but has been completed. JS said that the meeting for no platform group hasn’t occurred yet, but will aim to happen after Easter. JS said that the detailed reserves policy from OW and JSm is covered on the agenda. JS presented a proposal for the new strategic plan and talked through what has happened since the board meeting in January. JS stated that there was some extensive support and consultation from NUS in order to help form the strategy draft. JS stated that the paper has a proposed vision and mission, example values and key themes and topline objectives and KPI’s. JS stated that this is a draft but to be mindful of a tight timeline in order to get to July 1st as a launch date. JS stated that as well as the questions posed within the paper, there is a further question around whether the timeline proposed is appropriate. JD raised a question about language and whether innovative was the appropriate word within the vision. It was agreed that there could be more suitable words instead of this and it is worth exploring options, as this was the most debated word within the vision. It was agreed that language discussions could take place outside of the meeting and that this discussion would be used to discuss the themes and concept of the strategy in depth. MW asked as this is a plan for up to 2020, how would the plan measure success and what would success look like within this plan. JS stated that the key themes and issues have come directly from students and the research undertaken and success would come from key areas within education such as affordability and equality of assessment within their education. The strategic plan wants to ensure that we address and balance the inequalities that students struggle with as well as hitting key target areas within community development and strong representation. JSm asked whether there would be KPI’s added to support this. JS stated that there are topline objectives here and it would be for the board to decide whether they would like to 4 year KPI’s or rolling 1 year KPI’s alongside an operational plan in order to measure success here. JS stated that there will be changes and we want to make sure that the university could see a clear direction from the union and ensure that they are confident with our direction. JS reaffirmed that the board is approving the direction and key areas and then changes can be made. JSm said that it is fine for the sabbs and JS to discuss themes and ensure that they are relevant to our student body. JSm commented upon the vision and mission. JSm stated that the mission could be reworded. JS said that we didn’t want a generic mission and wanted one that felt tailored to our students and the officers felt that this mission is tailored to our students. JSm stated that the vision was very good, but needs some parts added to it in order to reflect direction by 2020. MW stated that the values could be refined down. JS said that there is an exercise that could be repeated with the board in May that fine tunes our values and what they are for our strategy. JSm stated that some of the values could be moved into the mission. OW said that is vital that returning officers are excited by the new strategy. EW stated that the vision and mission was the exciting element to the strategy. OW said that the middle of the vision need rewording but the beginning and the end were very good. OW also reminded officers that they need to ensure that their priorities are clearly inputted into the themes. JS also asked whether the length of the plan might lead to reduced flexibility for officers and their priorities. It was felt that officers in subsequent years will still have the opportunity to feed in priorities from their manifestos within the themes. It was agreed that four years was the right length of time in order to meet the ambitious strategy. It was discussed about meeting the university and it was agreed that OW and CL would attend the meeting with the university Vice Chancellor to present the new strategy. It was agreed that there would be a board meeting in May to solely discuss the strategy. E Wood gave a presentation which outlined some key themes and areas that the union will aim to be focussing on the next four years. · Partner with local grant making organisations to fund key union member led projects. OW commented that the aims were good and very broad. OW asked what the top three priorities were for the organisation. E Wood commented that we need to look at ways to make money quickly and said would look at fewer but larger events that meet the fundraising criteria. E Wood also stated that diversifying the merchandise stream was important. E Wood also said that one of the bigger ones was income and sponsorship as a big growth area. JSm commented that, alongside the rebrand, presented the opportunities to remind students that every penny of money spent goes back into union activities rather than coming across as trying to make money for no reason. The board agreed with those priorities for income generation and supported the quick successes. JS presented the document following the last board meeting proposal around talent management and supporting our staff. JS asked the board to approve this. OW commented that the best people strategy looks at how to recruit good people and how to develop them. JSm presented a document outlining the requirements the board has and ensuring a clear discussion between where responsibility lies between the board and the CEO. – When minutes come back from sub committees that the chair gives a quick summary of what happened at the last meeting. The board approved these actions and recommendations for JS and the committee chairs. JS stated that following the last meeting, a tender process has been conducted. 3 members of audit, finance and risk committee were on the panel and they recommended Kingston Smith as a new audit provider for us. This was recommended to the AGM and has been approved by the membership. This will start with them auditing 2016/17. CL explained that the panel felt that they would offer increased support for the organisation. JSm explained they offered increased recommendations and that they had extensive students’ union experience, particularly in relation to charity registration and guidance. CL also stated that they are an NUS approved provider for audit services. JSm would also like to put on record thanks to JS and Janet Bell(Finance Manager) for their help during the audit process. JS recirculated the paper from CounterCulture that was circulated via email. The board put on your record a thanks to CounterCulture for this work. JSm asked whether the contract issue within 9.1 of the report had been dealt with. JS said that it has been. OW and JSm presented a paper following the action to form a detailed reserves policy that will go into the constitution. There is one proposed change that the reserve policy will be monitored regularly by the UCASU executive team. This was agreed by the board. OW said the main thing here was that we settled on three months operating costs as an appropriate level for the reserves. JS asked what the plan is regarding utilising the difference in income. OW said the next step is that we should get the reserves back from the university. The board approved the reserves policy with the amendments. JS provided an update to say that we had a turnout of 930 students in the election, a turnout of just under 16%. This doubled our voter turnout from previous years and showed a significant increase on the number of candidates. The board asked JS to pass on their thanks to all staff involved. JS also informed the board that the governance structure was passed through a referendum. JS also confirmed to the board that the elections were ruled as free and fair by the returning officer. JS presented some guidance regarding the EU referendum for students unions from NUS. JD asked whether it can be clarified with students who can vote in the EU referendum. The trustees clarified that it is best for us to run a register to vote campaign, and ensure that we do not take a position as a union for Yes or No. Resources can be committed to a voter registration campaign but not towards anything that means we take a position on the referendum as a union. JS updated the KPI grid for the board. JS highlighted that we had some key successes within elections and our democracy. JS informed that the rebrand process has begun and we are aiming for A-Level results day. JSm asked if there are any were any updates on the grid. JS said nothing significant on here. JS confirmed that the charity registration had been completed as of February 20th 2016. EW asked the reports to be taken as read. JSm commented that if it is possible for the board to see an update of student council highlights. JS presented the report. One item that hasn’t been covered in the agenda is the proposal to move offices within Farnham and Epsom to a more prominent space on each campus. JS presented the management accounts and have already been approved by Audit, Finance and Risk. JS informed the board that the management accounts are arriving on time and the board welcomed that. OW asked if there is current plans to rationalise the budget lines that aren’t used. JS said there will be as part of the new budget planning process. EW asked if there were any comments on the sub committees. OW raised from AOB in Audit, Finance and Risk what plans were in place regarding pension auto-enrolment. JS said that he is meeting with Janet Bell on Tuesday morning to discuss this in more depth. JS reminded the board that it has to be ready for July 1st staging date. JSm asked from Clubs and Societies Committee, whether there has been any updates regarding a proposal for criteria for allocation of fair funds in accordance with the Education Act. EW raised an action for JS to work with other sabbs on a proposal to work on looking at increasing sabbatical wages in line with Living costs and acceptable levels..
JS raised that the board need to authorise either SD or EW to be on the bank mandate. This was approved by the board. Will be circulated via email but there will be a strategy only meeting in May and a full board with new trustees in June. JS to come back with top line KPI’s to develop this area. JS and the Sabbs to ensure an update comes to each board from each council via email. JS said that KB (Head of Membership) is working on it and can come to the board meeting in June. The Chair welcomed all trustees to the meeting and formally welcomed our two new student trustees, Ellie Theaker and Jess Dowson. EW also welcomed Aiden Grills who will be observing the board and supporting the strategic away day that followed the board meeting. JSm declared that he knew AG personally from a previous role at Leeds University Union. EW presented the minutes and asked for the board to approve the minutes. The minutes were approved without any amendments. EW presented the action list. · JS pointed out that the buddy scheme has been passed onto a member of staff within the SU. · JS stated that the cycle of business has now been sent onto board members. · Terms of reference have been updated for sub committees. · Business development working group has been formed and has held their first meeting. · OW stated that the Chief Exec Appraisal has been completed in line with JS’s 6 month probation. EW presented the officer reports and asked for any questions on all of the reports as a whole. OW asked regarding CL’s report on investment policy. CL stated that the university doesn’t currently invest in fossil fuels, but that the policy will safeguard any future investments from both the university and the union. EW asked if there were any questions for JS regarding his report. JSm asked about the progress of the membership research. JS stated that the initial findings would be presented within the strategic away day presentation. JS also stated that staff were working on this up until Xmas and therefore the data will not be fully interpreted yet. It will also be supplemented over another 4 week period with further surveys. JS apologised for the management accounts not being tabled to the board in full, although they had been tabled in draft form to the Audit, Finance and Risk Committee in December. JS informed that they would then be circulated around the meeting once they have been completed. JSm asked why the management accounts had not been prioritised as they are vital for the board to see these. JS informed that a combination of staff absenteeism and an increase in workload due to the finance aspect of the finance and HR review being undertaken during term 1. JSm asked if there was any further information regarding the position of the reserves with the university. JS stated that this will be covered in subsequent agenda items. MW asked whether the position of the reserves will have an effect on the union’s charitable status. JS stated that there is no effect on any application or subsequent charitable status. EW presented the minutes from the sub committees and asked members for any questions. JSm asked whether there was any progress with reviewing processes for how clubs and society funding is issued. JS stated that he has asked staff within the union to review this and come back with recommendations for a fair process in line with the Education Act and our new bye laws. JS stated that before Christmas, a meeting was held with Menzies, JSm, CL and Janet Bell (Finance Manager) to review the finance statements. JS informed the board that the feedback was positive and that there were no concerns with the financial statements as presented. JS informed the board that JSm suggested further minor amendments that had been made to the copy circulated prior to the meeting. JS asked for any questions and comments before the accounts and letter of representation are signed off. JSm ran through the minor amendments that were made in the meeting and also asked the board to be aware of the letter of representation and what they were signing. JSm raised a concern about the quality of the audit that was received and was concerned about a couple of aspects of the audit process that was undertaken. JSm raised concerns about the level of information and lack of recommendations for improvement that were given within the audit report, as well as raising a concern about an inconsistency within the draft accounts that the auditors submitted to the Audit, Finance and Risk Committee for approval. EW asked if there was any additional information that can be gathered from this audit. JS stated that they have followed what they have been contracted to do and therefore the board will need to consider widening the scope of the audit for future years. OW pointed out that there it isn’t clear on the records when JS started and therefore the board minutes should reflect that JS started on March 9th, midway through 2014/15. A vote was taken on the year-end accounts. The accounts were passed unanimously. JS to go to tender for new audit provider. JS presented the KPI grid and a report on current performance against the 1 year strategy. JS highlighted that our course rep and society numbers have increased significantly, which are recognised as being a huge priority within this 1 year strategy. JS also highlighted that the union have secured funding from the university to hire 2 Creative Opportunities Interns that will be UCA graduates. JSm asked about the targets and whether they were not challenging enough given how successful we have been? He also asked whether there could be a numerical system for recognising success rather than the current traffic light system. JS said that could be changed for future updates. JS also stated that the targets set were correct for the position we were in last year and that now we can be stretching and challenging for future years. JS highlighted the items that were still maybe. He highlighted that the joint strategy with the university will be undertaken in Term 2 and that the re-brand project might over run into the next academic year. OW highlighted that there will need to be an action plan around the issue of the reserves and how we manage the process of transferring the reserves over to the union. The board asked JS to pass on their thanks to the membership team for all their hard work so far throughout Term 1. JS provided an update on charity registration. It was pointed out at the previous meeting that charity registration had not been submitted by the previous CEO. Following the meeting, the registration has now been submitted on 29th October 2015. We now have a case officer who will be hearing our registration and should come back to us within the next couple of weeks. MW asked what the timescale was. JS pointed out that there was a minimum of 8 weeks before we should hear something. JS also highlighted that he received assistance from the former interim CEO to help complete the registration paperwork. OW thanked JS for prioritising the registration. JSm asked what the change in responsibilities will be for the board once we are registered. JS stated that we have been operating as a charity and we have just been missing the paperwork. There will be an increased administration requirement for the organisation. JS highlighted that there was an urgency for the union to have a No Platform policy and external speaker policy for events, in line with the new Prevent Guidance. There has been a policy that has gone through Student Council and Exec and is now coming to the board for final approval. JS highlighted that there is a responsibility for the trustees to create a working group to monitor external speaker requests and to monitor the list of banned external speakers on the no platform policy. CL pointed out that there should be additional references to other religions and other groups within the policy. JSm asked for clarification about what is being approved and whether the motion has been approved already. JS pointed out that at the last AGM, there was a motion that was passed that the union should be a no platform policy. This motion and external speaker policy is that. JSm clarified whether the next steps were to create a list of banned speakers and clarified how frequently the meeting would meet. JS pointed out that it would meet relatively infrequently, but would need a couple of initial meetings to form the list. JS also pointed out that it would be conducted as a referral and that the majority of speaker requests would be dealt with by union staff. JD asked whether we should include particular religions. EW stated that there should be an all-encompassing word that ensures that the policy protects all religions and students are protected from speakers who try to incite racial hatred. OW asked whether the task force model was tried and tested before and whether membership should be waited towards non student members. JS stated that the membership could be changed and the board should be looking for approval of the model today and whether the board should own it. OW stated that if it is owned by the board, then the membership should have a stronger student waiting to it. JSm asked for clarification on where responsibility rests for Prevent. JS pointed out that the responsibility sits with the university, not the union. However there will be a large amount of responsibility resting with the union due to the large number of society and external speaker events being led by the union. JSm stated that he was happy to delegate the bulk of this work down to JS and the relevant staff members. JS stated that this would most likely happen anyway and the working group would meet when required. EW asked how we begin the process of producing a list of speakers/groups. JS advised that we look at the NUS list from their no platform policy. EW advised that we should have more externals in the first instance to help form the list for our policy. SH asked how it would be monitored about which speakers and groups would be banned. OW stated that the use of the word incitement is very important in measuring which groups and speakers would be part of the No Platform list. CL asked if this covers any events run by the university. OW states that we can use it as a basis but that we cannot ban university events because they contravene our No Platform Policy. A vote was then taken to adopt the policy. The policy was adopted with the amendments. EW introduced Katie Badman (Head of Membership Engagement) who presented an update on the governance review and bye law changes that are being undertaken. KB highlighted the major changes that had happened and highlighted that the bye laws needed quite a considerable amount of work to bring them up to speed. KB pointed out that the major changes were there in order to reflect the changes in the new governance structure. KB highlighted the constitution changes will be minimal to reflect the new bye-laws and governance structure. JSm asked are they brand new documents or are they adapted from previous documents. KB pointed out that the constitution was new and the bye- laws was from scratch. JSm then asked what the process is for passing the bye-laws. JS pointed out there would need to be a referendum to pass these and that this can be run alongside the main elections in March. OW queried why the bye-laws went to such a high level of operational detail, particularly the finance regulations. OW highlighted that it may well be appropriate to remove the finance regulations from the bye- laws in order to allow more time to make revisions and amendments to them. A reference to the finance regulations should be in the bye-laws, but removed in order to allow changes to be made easily. JS pointed out that we do have a bit more time to make amendments because there are no proposed changes to the sabbatical officer positions. OW asked whether it would be appropriate to name a designated officer (i.e Chair of Trustees) to hear any complaints regarding staff (i.e Chief Executive). OW also questioned whether a vote of no confidence goes to the Trustee Board regarding an officer. JS confirmed that this will need to be changed but consideration of where that is taken needs to be given. JSm pointed out that any reference to external speakers should have a caveat of subject to No Platform Policy. JSm also wanted clarification on the length of term of external trustees. JS pointed out that it is incorrect within the constitution and will need to be revised. JSm pointed out that it would be good for the board to highlight how much of the delegation of board powers actually happens and for the board to assess their effectiveness regarding this. A discussion then took place regarding percentage levels for no confidence votes and referendum levels. It was agreed that this would be taken away for further discussion before going to referendum on the new structure. The board passed on their thanks to KB for producing a draft of this so quickly. JS reiterated that this would be taken to referendum alongside the March elections. JS presented a paper with a draft Equality and Diversity policy for comments. CL asked whether this would tie in with existing policies. JS said that it would be incorporated into the new bye-laws. OW asked whether we should be considering socio-economic background within the policy. It was agreed that it would be good practice to keep this in. JD asked whether there were any legal implications with merging together characteristics around gender, gender reassignment and other related characteristics into one. JS advised that it would be important to stick to all protected characteristics that are within the Equalities Act within the policy. JSm highlighted that it will be important to draw parallels between the new governance structure and this policy, particularly around liberation groups, before the policy is implemented fully. It was agreed that the policy should be taken to student councils and then come back to the next board for adoption/approval. EW introduced Peter Greaney from CounterCulture who presented the findings of the finance aspect of the finance and HR review. PG ran through the brief and why he has been brought in to work with UCASU. PG pointed out that the findings were being presented verbally as all field work had only been conducted the previous day. PG highlighted that there were no material concerns for the board to be aware of and that financial processes and procedures were robust and that there is no concerns regarding any financial irregularities that the board should be aware of. PG highlighted that there were some aspects of the financial processes and procedures that could be streamlined in order to improve efficiency for the organisation. He highlighted key areas around purchase order control, the role of budget holders in setting financial direction and payment systems that could be modernised and improved. A long discussion took place between board members regarding the position of the reserves and to agree an action plan of how to move the reserves from the university accounts to the union’s accounts in order to meet charitable objectives for the organisation. The board thanked PG for his work on this in such a short period of time. JS stated that the next actions would be to form a small action plan following on from the submission of PG’s written report. This would then be shared with trustees and relevant staff members before actions are followed up on. JS presented the update. He reminded the board that it had agreed to delegate the ownership of this register to Audit, Finance and Risk and that anything above a rating of 12 would come to the board for discussion. JS highlighted that there four items already on the agenda that would need to be discussed. It was agreed to keep these on the agenda for future meetings for discussion. JS pointed out that it was important for the board to be mindful of the risks involved with finance and people. JS provided an update for the returning officer for this year’s elections. He reported that the by-elections worked very well with NUS’s returning officer system and asked for board approval on whether NUS should return the elections in March. The board agreed unanimously to appoint NUS as returning officer for the March elections. JS presented a proposal from Vanilla Ventures regarding a talent management proposal that would require student unions across the country to invest in order to build up a recognised brand for students unions to aid national recruitment within the sector. It was agreed by the board that the financial commitment that would be required is not viable for the organisation at this time, and that we are not prepared to be part of this in our current stage of development. It was agreed not to commit to this proposal but to potentially explore working with Vanilla on their existing programmes around coaching existing staff within the organisation. JS to form the first working group for policy implementation. Sabbs to take Equality and Diversity Policy to Student Council. JS to bring back final copy to the next Trustee Board meeting. OW and JSm to produce a detailed reserves policy for the next board. CL highlighted that as part of her transition into her future career, she will be working very closely with the communications coordinator to take a leading role on the rebrand project and gather future skills for her career. OW asked whether there was any feedback that could be given in order to support future sabbatical officers. CL stated that it would be really helpful to have added provision in the budget for increased welfare provision for the sabbs. At the end of the meeting, there was a self-evaluation exercise that was facilitated by AG in order to help the board improve for future meetings. It was agreed that this would be decided via email dependant on the strategy discussions from the away day. It would be around end March/beginning April. The Chair welcomed all trustees to the meeting. EW invited members to declare any new declarations of interest that may conflict with their role or the work of the Students’ Union. Members noted no new items. EW presented the terms of reference for the Board of Trustees as per the union’s constitution. No amendments stated and the Terms of Reference were agreed for this year. EW asked if everyone was happy with the minutes of the previous meeting. SH questioned about the handover of the buddy scheme and that had not happened. There have been enquiries from university staff. CL highlighted that handovers were not forthcoming to her from the previous officer. JS pointed out that the buddy scheme had not been handed over but staff will be picking it up. JS said he will look out to improve handovers in the future, as there have been inconsistencies across the team. JS ran through the actions from the previous meeting. JS had amended the cycle of business but had not circulated it. It will be circulated over email after the meeting. JS stated that the response from the university regarding the reserves had not happened yet, but they have given UCASU additional staff support through the use of a project accountant to help with medium-long term financial forecasting. JS informed the board that we have to elect the 3 x vacancies for the trustee board and this will be run alongside the by-election for vacant council positions. JS stated that the income generation report is dealt with in the agenda item 8.2 regarding business development strategy. OW asked what the action was regarding the reserves. JS stated that the action is to form a reserve policy and that the university are still holding the reserves. The officer reports were taken as read by the board as they had been sent out in advance of the meeting. EW asked if there were any questions on the reports. OW asked what the officers main priorities were as a team and do they have a clear number one priority. EW stated that the officers have been working with JS to consolidate their priorities to three main ones. EW stated that her main priority is how to form a community both within all campuses for UCA, and to improve how UCA is viewed in the wider community. CL stated that her main priority is how to improve advertising space and marketing space both for commercial use and university activities. SD stated that his main priority is how to develop a package for graduating students through strong alumni networks to have access to facilities when they leave, as well as campaigning for extra opening hours for library spaces. SH stated that her main priority is to make sure there is adequate careers support for students for when they are ready to leave UCA. EW said that even though priorities are different, there is a large amount of crossover across the four sites and that if one campus officer’s idea is successful, then it will be possible for it to be rolled out across the four sites. JS highlighted the key points from his report. JS stated that recruitment had been undertaken and that all positions in the new structure were now filled. JS stated that the new staff in positions were already seeing improvement in terms of engagement with students. JS pointed out that the restructure is complete pending one item that is still outstanding. This will be covered in agenda item 7.2. 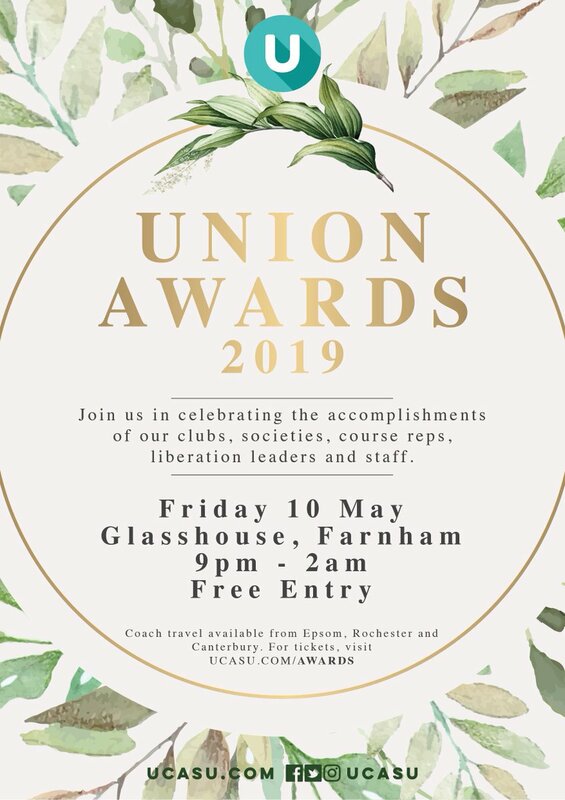 JS pointed out that the Freshers programme was a success and that there had been improvements in engagement across all campuses, rather than just at Farnham. JS stated that this will be improved. JS stated that in line with new Prevent guidance from the government, there is a need to ensure that our No Platform Policy is robust. OW asked what the current position is in relation to our no platform policy. JS stated that there was no policy drawn up, but the motion stated that the union should have a no platform policy and that the motion was to get it going. OW stated that the organisation has to be covering the Prevent guidance to make sure that we are protected as an organisation. JS stated that we need to be getting a No Platform Policy passed through Exec within the next 6-8 weeks. JS said that the university was due to meet us today to discuss our involvement with Prevent and how to make sure we have controls in place for this. JS stated that now we have a Head of Membership in place, we can now start the Governance review and membership research which is critical to the organisation. OW questioned whether it was quite ambitious to get a draft of the research and governance to the December board meeting. JS stated that in particular the governance review might change significant parts of any roles that we will be electing, then this will need to be ready in time for February for the main elections. JS stated that Janet Bell (Finance Manager) could not attend the meeting today. There is a commentary alongside these accounts and that these accounts were the accounts that went to the auditor. JS stated that these are not the audited accounts, but the initial feedback from the auditors had been positive. JS stated that these accounts will be approved by the Auditors within the next few weeks and will be able to go to December board for final approval. JS stated that Josh Smith has already indicated that he is willing to attend the final sign off meeting with the auditors. OW stated that Josh Smith was unaware when the management letter from the auditors was likely to come through and when the meeting was due to be held. JS said he will make sure communications will be improved. JS stated that he emailed Josh Smith to keep him updated with the timeline in August, and he will make sure that he follows that up to ensure Josh’s involvement. OW commented that even though we are not a charity yet, the way we produce our accounts will be need to be changed to be in line with Charity Commission requirements as they are currently arranged as company accounts. It was noted that Janet Bell was aware of this from the previous Finance Committee meeting. JS put forward some proposed amendments to three sub committees. Two of these were sub committees of the board and one will be a sub committee of Exec. Finance Committee – JS stated that the committee was only looking at day to day finance and that it was not dealing with audit and risk related issues. JS asked the board to consider whether they should delegate responsibility to these items down to the sub committee. Clubs and Societies Committee – Currently a sub committee of the board. JS proposed that the main change is to have elected students on this committee to support and decide where funds are allocated to. JS pointed out that given that the committee has money awarding responsibility, there will still be two members of staff on the committee to act as advisors. Student Council Bye-Laws – This will enable there to be a Kent and Surrey based council to discuss campus issues. OW asked why the student council bye-laws are coming to Trustee Board. JS stated that the constitution and bye laws states that all committee changes need to go to board for approval. This is something that will need to be altered within our governance review. OW asked what was meant by a Finance Advisor within clubs and societies. JS stated that is a Finance member of staff and that will be amended. OW asked for one amendment to Finance Committee terms. In item 4.15, preparation for the annual report should be changed to input into as the preparation should be coming at board level. The changes were passed through with amendments. JS to ensure JSm is involved in auditors meeting. JS to amend committee terms of reference and disseminate to sub committees. JS presented a KPI Grid that could be used by the board in order to measure performance against the strategic plan. It can be used as an indicative guide to measure performance against top line KPI’s with a commentary alongside it. MW asked how progress would be measured in terms of milestones and frequency. JS stated that there would be updates at each of the 4 board meetings and could be updated more regularly if needed. SH asked how they would be measured. JS stated that there would be a traffic light system to measure progress against each KPI. OW stated that it would be important to add in clear targets regarding strategic plan development. The board were happy with the grid and its use for measuring performance. JS highlighted that Charity registration was still outstanding. JS pointed out that the registration was meant to be completed by the previous CEO however it had not been completed and that the organisation has to begin the process again. JS confirmed that the process had been restarted again but wanted to bring to the board’s attention that it had not been a completed action from previous board meetings. JS stated that this was a priority and will be completed at the earliest possible opportunity. MW asked about timescales. JS stated that it is something that needs to be completed within the next two to three weeks. OW asked the expected timescale for a response from the Charity Commission. JS understood it to be between 30-45 days from the date of submission and should be no longer than 6 weeks. JS to complete Charity Registration ASAP. JS presented an organisational risk register for discussion following on from the last board meeting. JS asked for the board to approve the register and to discuss whether the board were happy with the mitigating actions put next to it. OW stated it was important to ensure that the numbers were measuring the actual likelihood of the risk occurring. JS stated that the numbers were higher so the board could scale down the numbers if they wished. OW pointed out that the tab with definitions on the register need to be altered to ensure it fits the size of organisation that we are, particularly in relation to cost. OW also stated that it is good to have a risk updater as well as a risk owner, as well as updating a December progress. JS pointed out that Josh recommended that the risk register could be delegated to the audit, finance and risk committee in order to measure risk more frequently. It was agreed that it could be delegated to the committee and that the board can monitor risks measured at 12 or higher. JS presented a paper that detailed the need to diversify our income portfolio and look at new and innovative ways of generating income for the organisation. JS proposed that we formulate a working group from the board that looks at how we form new and innovative income streams and generate a topline strategy that the board can work from regarding income generation and business development. OW asked if there were any roles for students to be involved, particularly any students currently on Exec. It was agreed that students need to be added to the group and this could be a student trustee. It was pointed out this should be the same students in order to maintain consistency. CL asked whether a new role could be created on council to ensure that there is representation from interested students. It was pointed out that there could be potential for new council roles within social enterprise to reflect the potential changes within any income generation activities. EW said that we should vote to approve the group formation and allow the group to decide membership at a later date. OW stated that he would like to see the Events and Income Generation role play a key part in the formation and creation of this group and allow her to take ownership of this group. The paper was passed with the amendments. A paper was presented regarding the potential to bring in external finance and HR support for the organisation. This will ensure a consistent approach to these areas to be ready for charity registration status and for a long term strategic plan. It was important to make sure this happened within the first year of improving an organisation. OW pointed out that we should ensure that the review does not just cover charity commission requirements but also all legal responsibilities that we have relating to these areas. It was noted by the board that the organisation is severely lacking in coherent HR support and the responsibility falls quite heavily on the CEO. It was agreed that the board were happy for JS to find an organisation rather than put it out to tender. The paper was passed with the minor amendments. A discussion took place regarding the role of returning officer for both the by-elections and the sabbatical elections. JS explained that in the past, the Chief Executive would act as the returning officer for all elections. He stated that this has the potential to create conflicts and that the elections should be returned by someone neutral and impartial for the organisation. JS presented two options. One was to utilise the services of NUS to provide a returning officer, the other option was to work with another students’ union to return their elections and therefore they would return ours. Following a discussion, it was agreed that NUS would provide our returning officer service for the by-elections and that it would be reviewed before the sabbatical elections by the board. A discussion took place regarding conducting an appraisal for the CEO has JS had now been with the organisation for more than 6 months now. OW presented two options. One was to either bring in an external support to facilitate the appraisal process and the other option was for the appraisal to be conducted by OW himself in conjunction with the board. A discussion followed and it was agreed that it would be best for OW to conduct the appraisal in conjunction with the board. SH brought up about whether it was possible for sabbatical officers to receive appraisals. JS stated that as part of the appraisal cycle for staff, officers would also be receiving appraisals as well. JS to amend definitions to fit the organisation. JS to put a standing item on board and audit, finance and risk regarding risk register. It was agreed that the next meeting will be in December 2015 and this will be a strategic away day in order to start forming our longer term strategic plan.